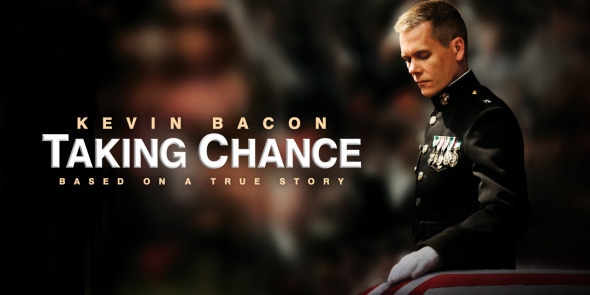 Brief Synopsis – Based on the true story of a Marine officer’s journey across the US accompanying the body of a combat soldier who recently died in Iraq. My Take on it – I recall hearing about this movie 5 years ago when it came out and being very excited to see it based on the rave reviews. I was so touched by it then and was once again touched when I re-watched it. Kevin Bacon happens to be an amazing actor and doesn’t usually get the credit he deserves for it. This movie once again proves his acting prowess since he is pretty much all alone through the entire movie and only briefly interacts with passing characters; basically he is our only constant here. Bacon quite often is part of ensemble casts, but he is able to stand completely on his own here to bring us a very emotional story. This movie was filmed for a theatrical release, but HBO (who have been a steady provider of movies about the recent war in the Middle East) bought the rights to show it on cable. This movie shows the unity and reverence among Americans for the soldiers fighting and dying to keep and safeguard freedom around the world. Bottom Line – Amazing portrayal of the service and dedication of US soldiers both serving overseas and also those serving on the home front. The responses that Bacon’s character got during his journey are completely overwhelming and emotional. Highly Recommended! This is one movie I’d like to see. Kevin Bacon is one of the actors that I highly admire, my top 5. Gotta see this! Never got around to it. Did you see “Death Sentence” with Bacon? Good flick. Directed by James Wan. Thanks for the review! Thanks for the recommendation Vic! Anytime, I think you’ll enjoy it.